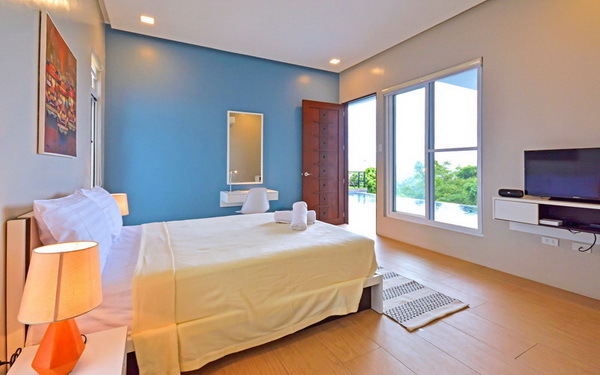 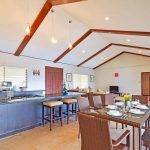 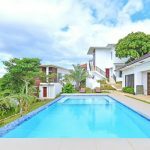 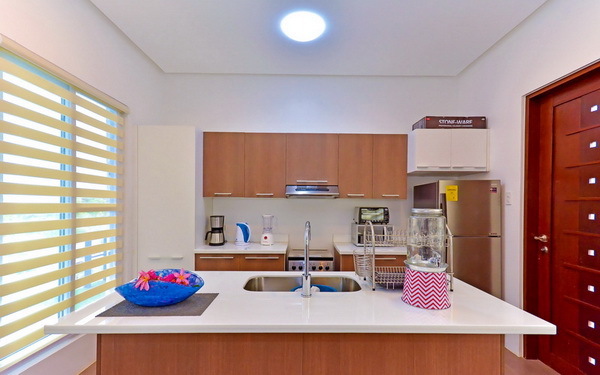 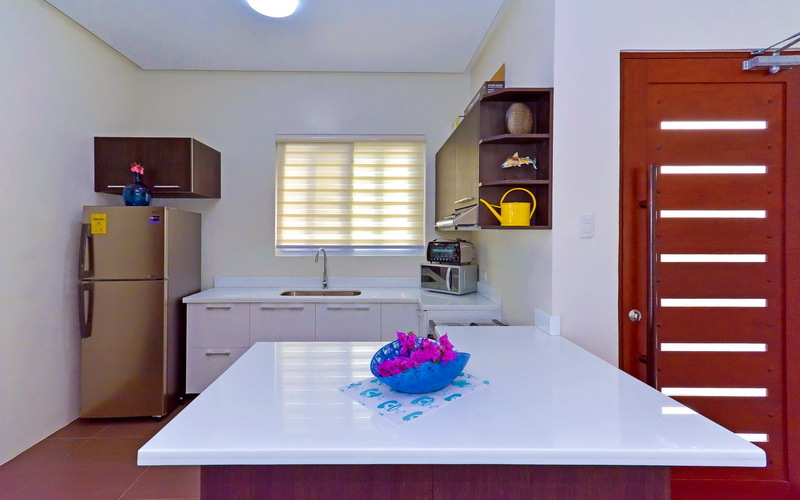 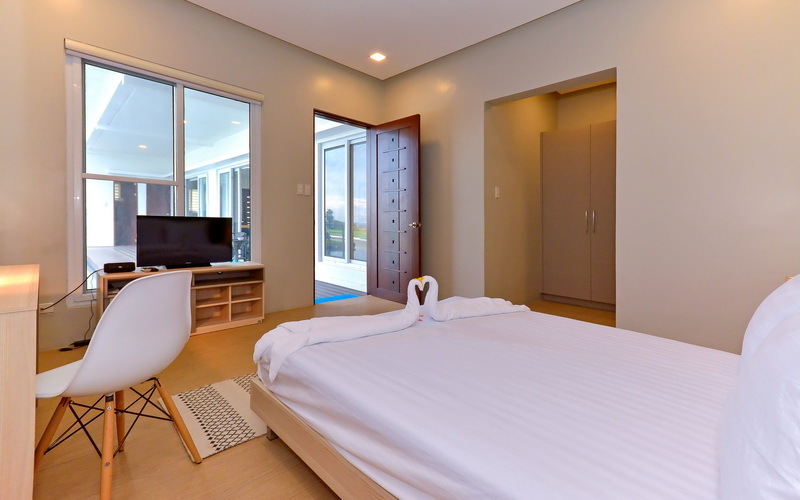 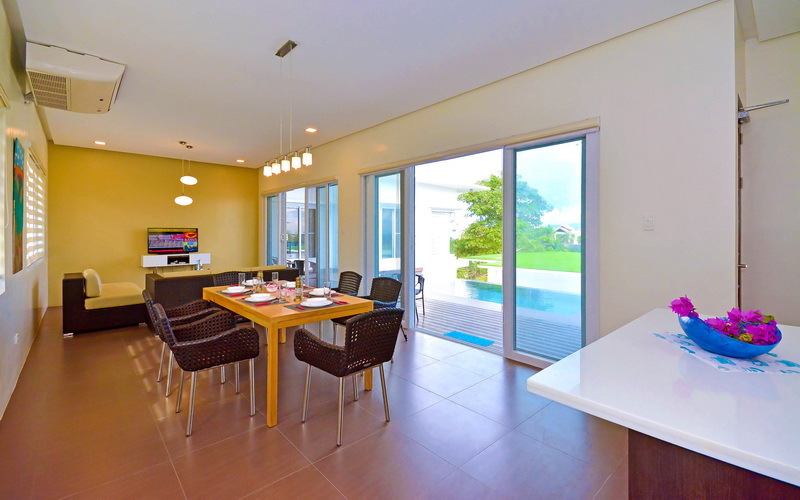 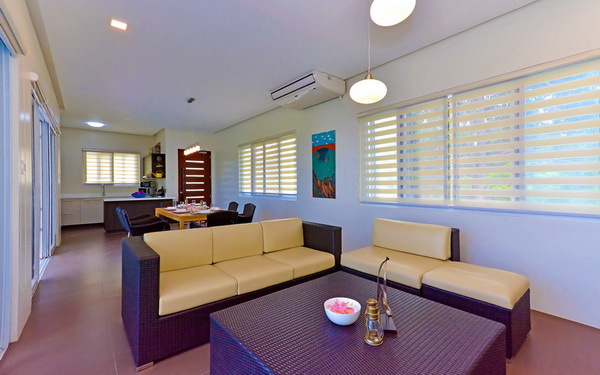 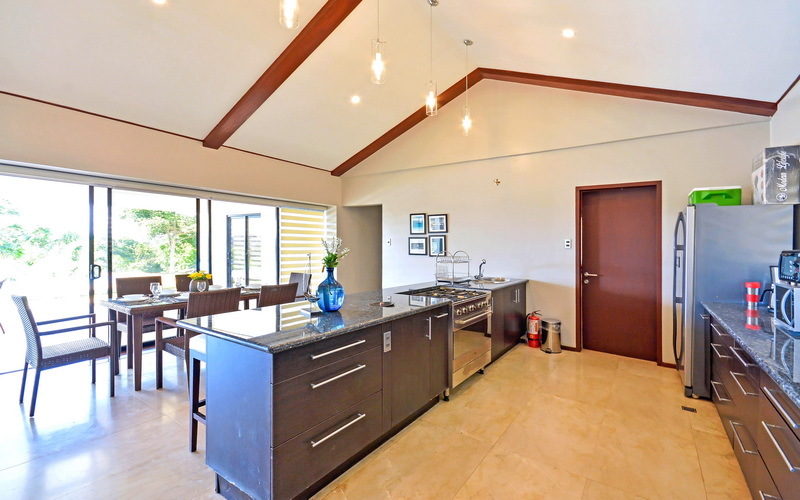 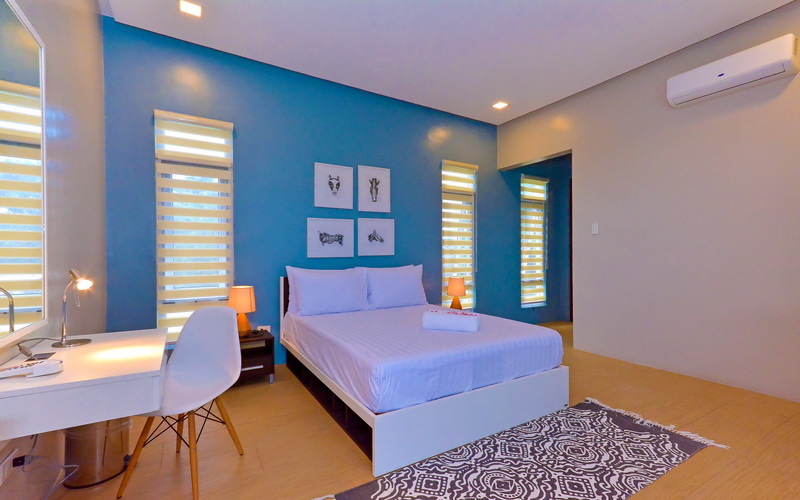 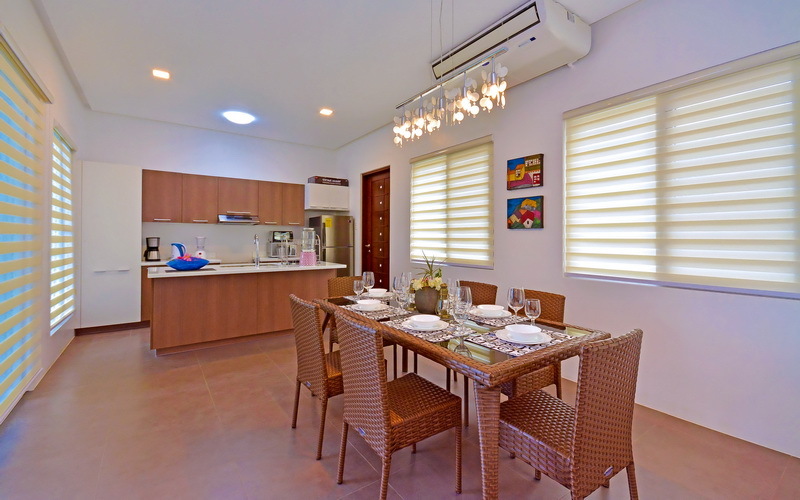 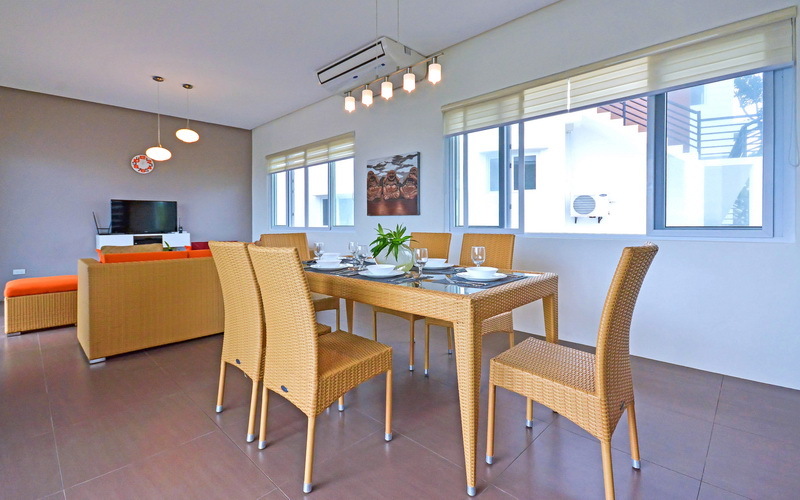 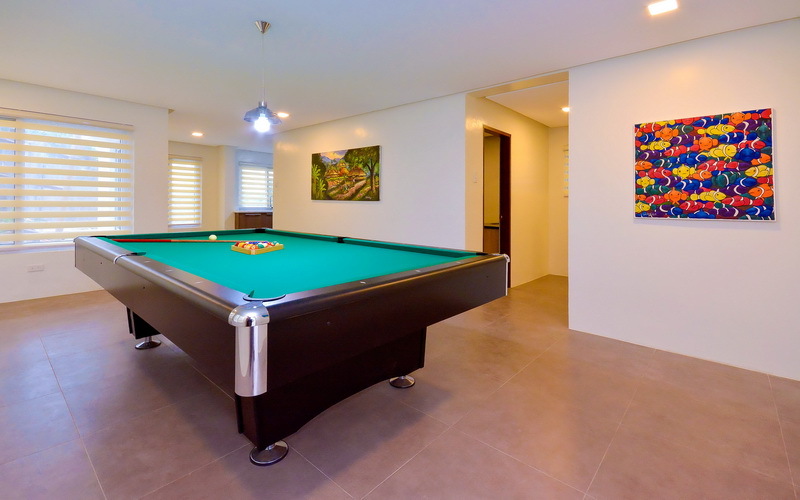 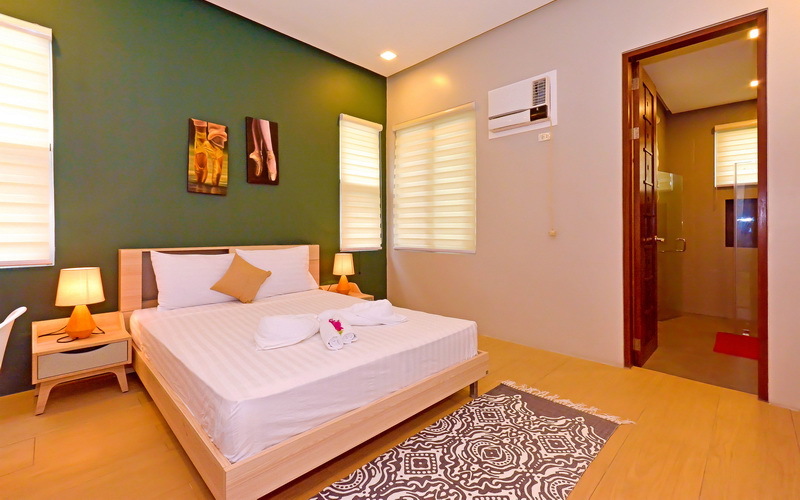 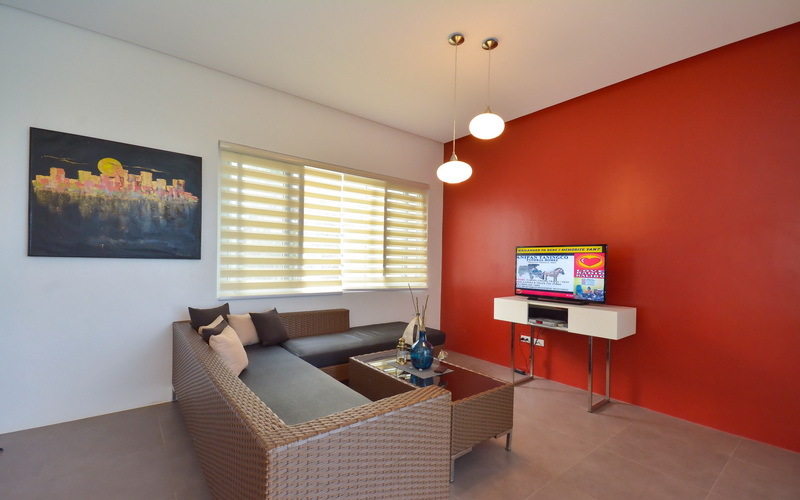 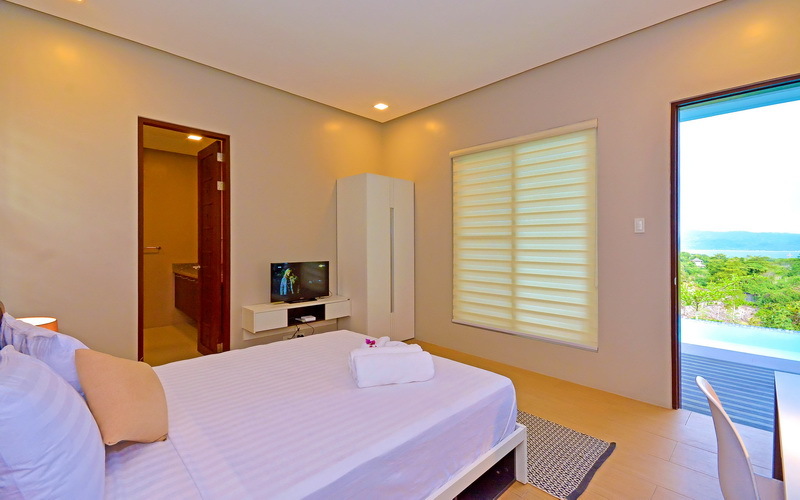 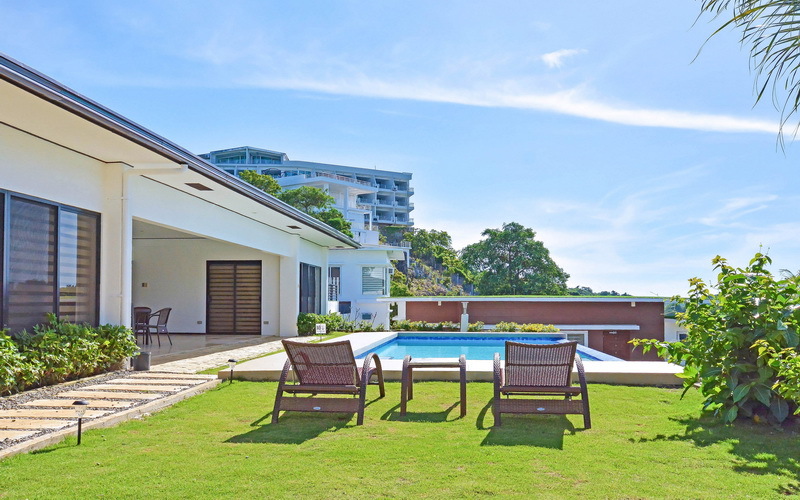 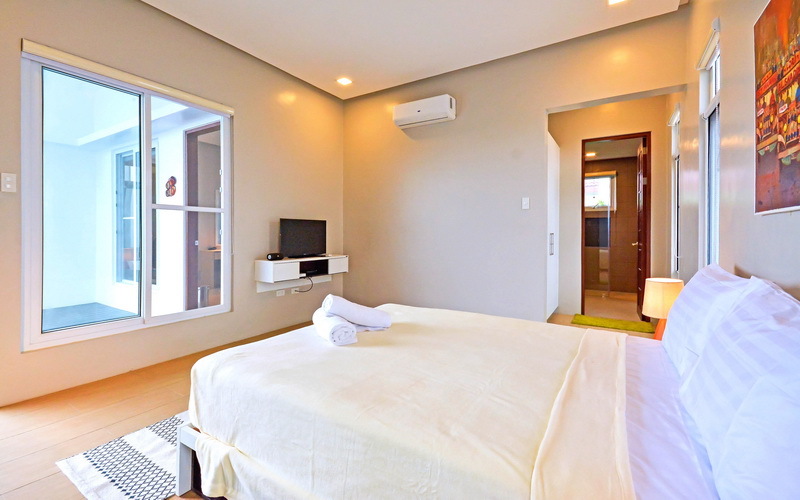 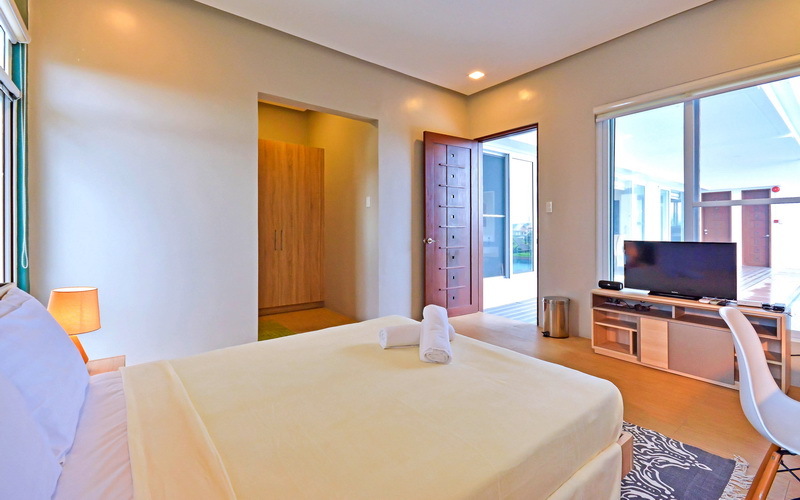 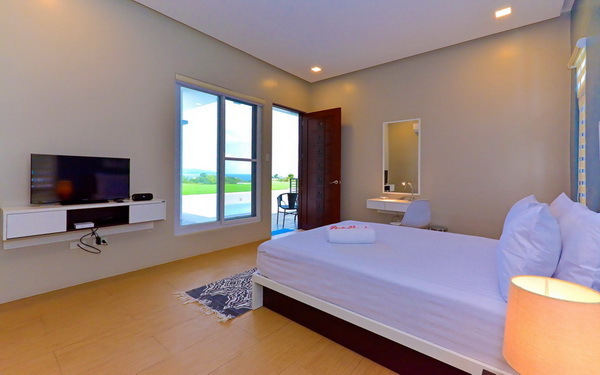 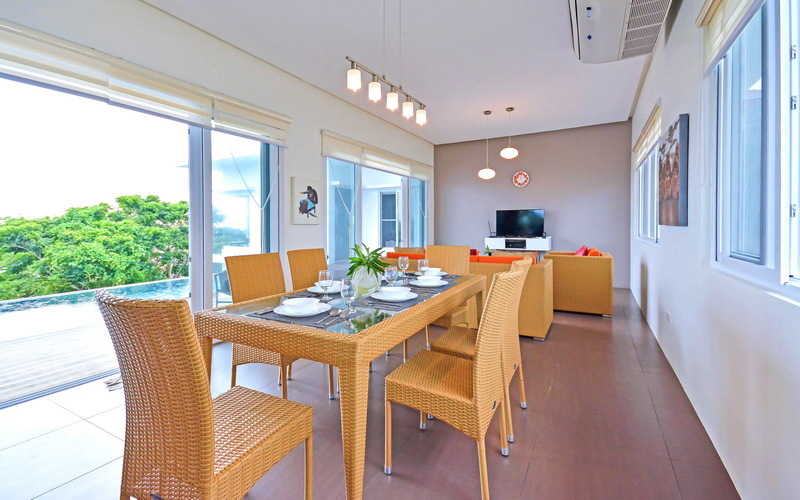 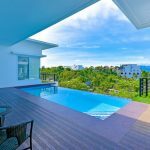 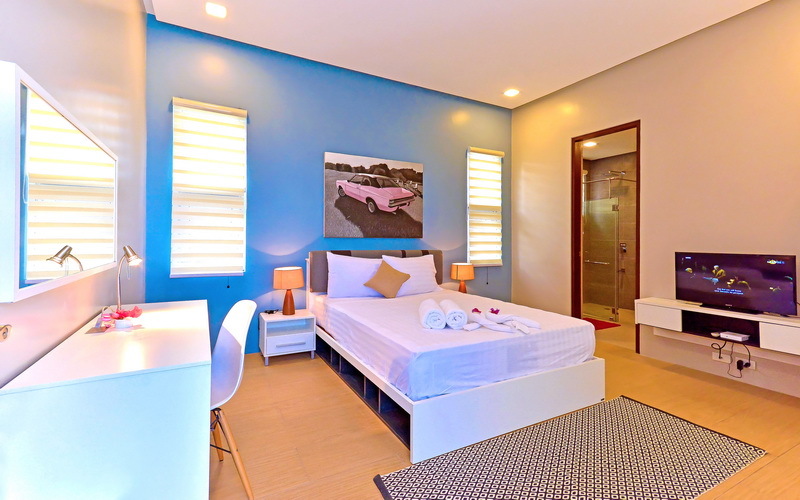 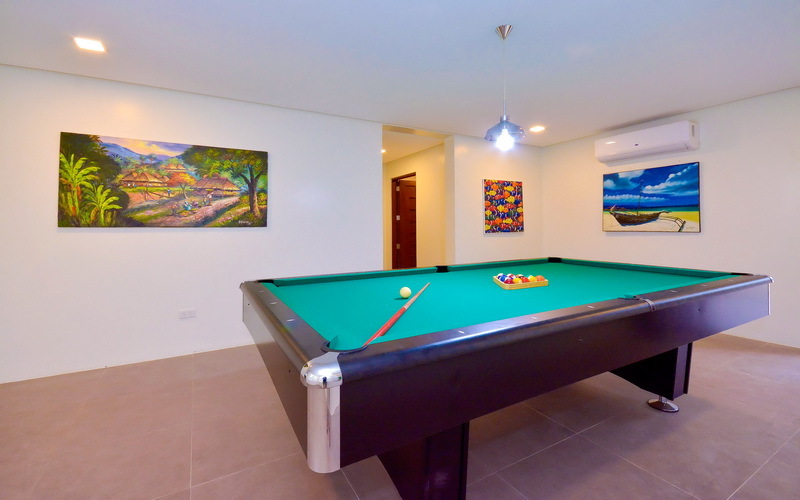 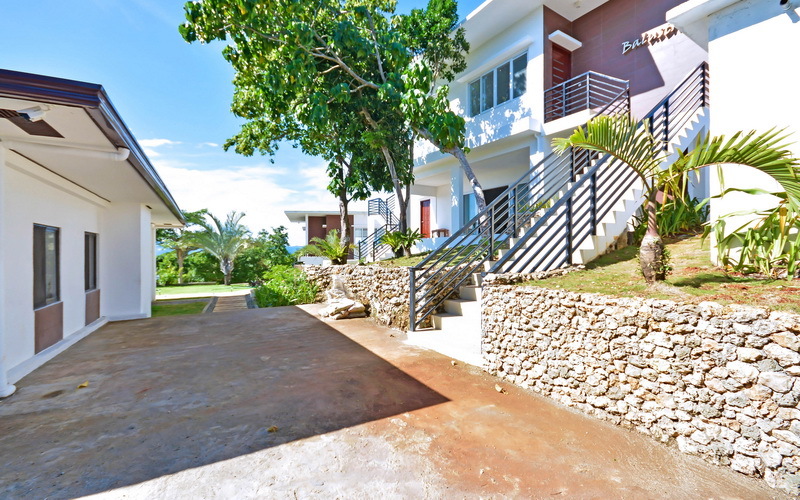 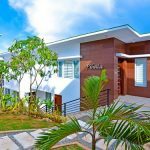 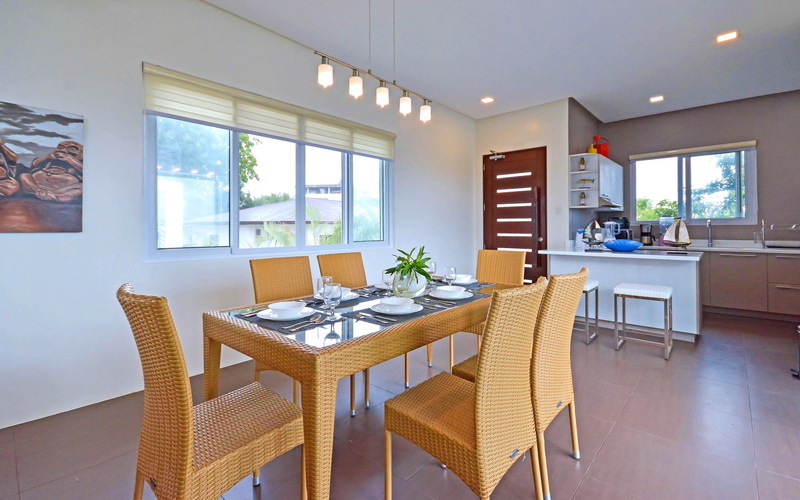 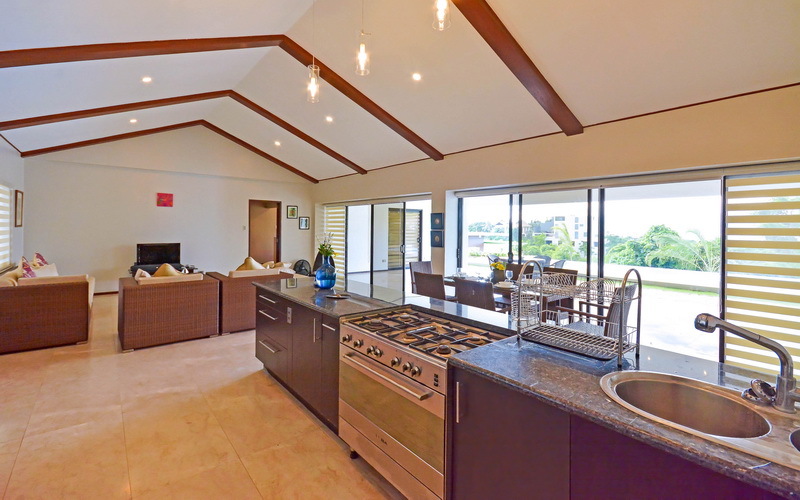 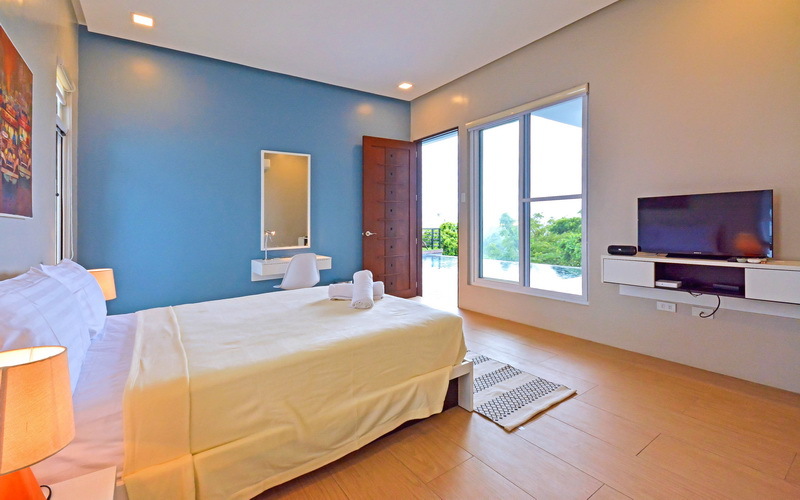 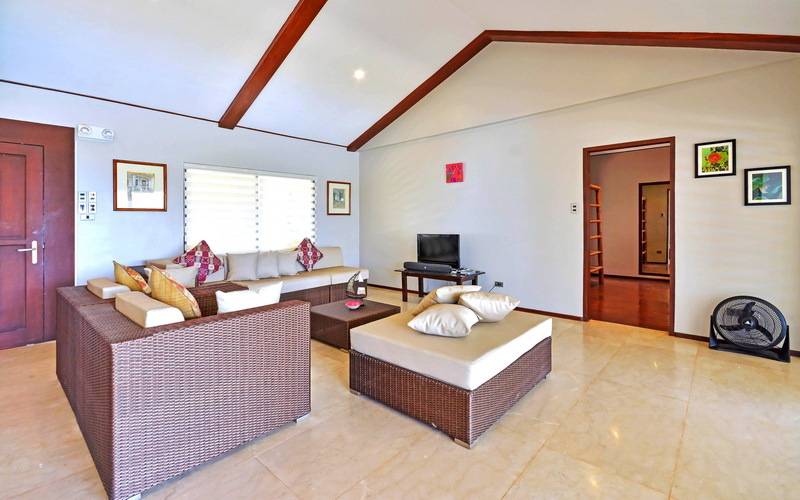 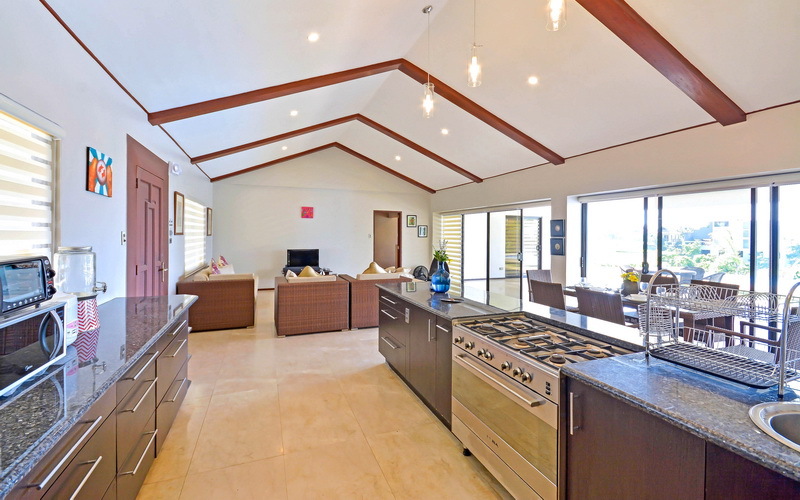 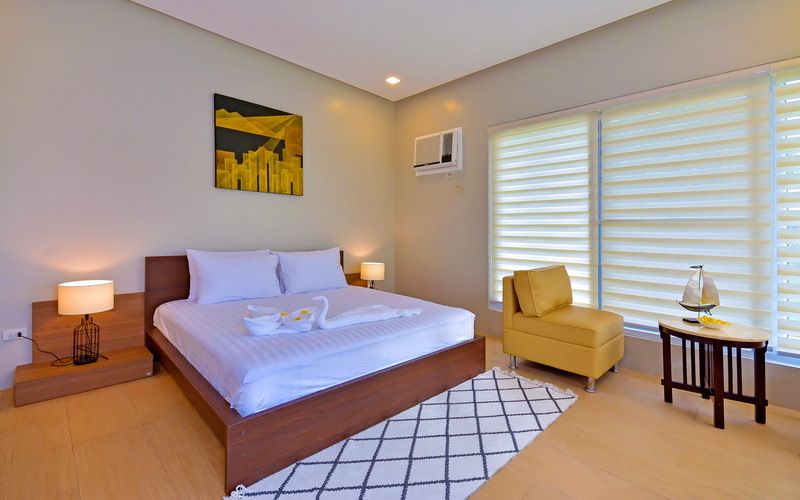 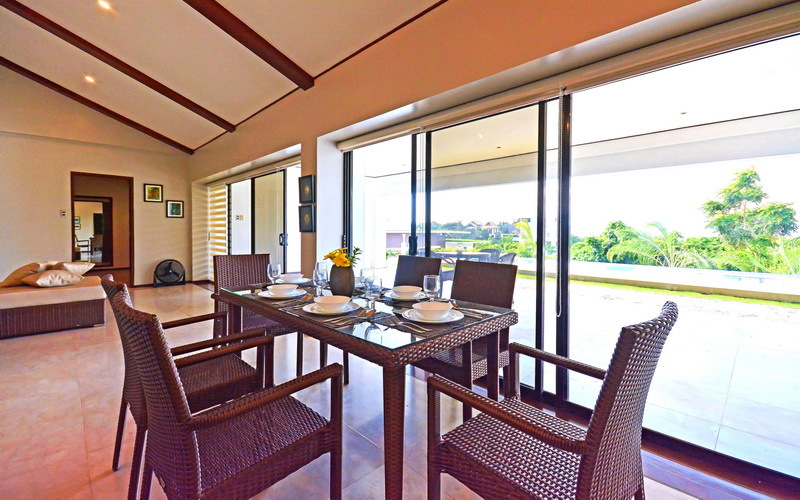 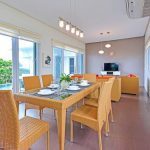 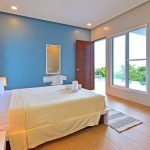 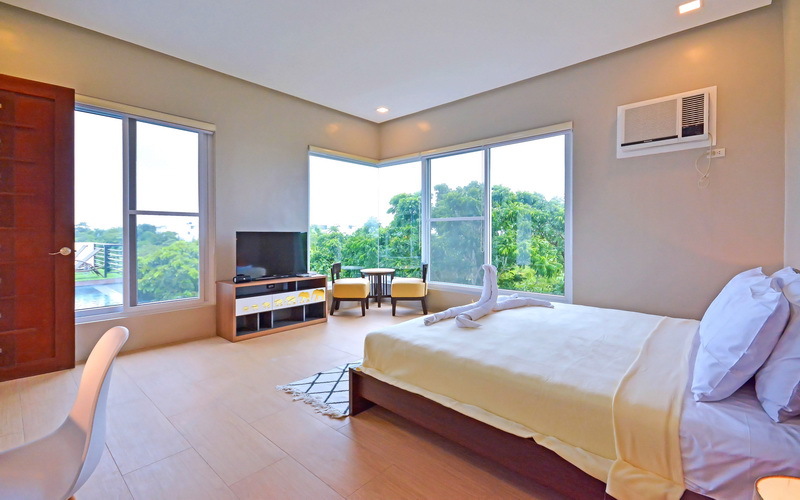 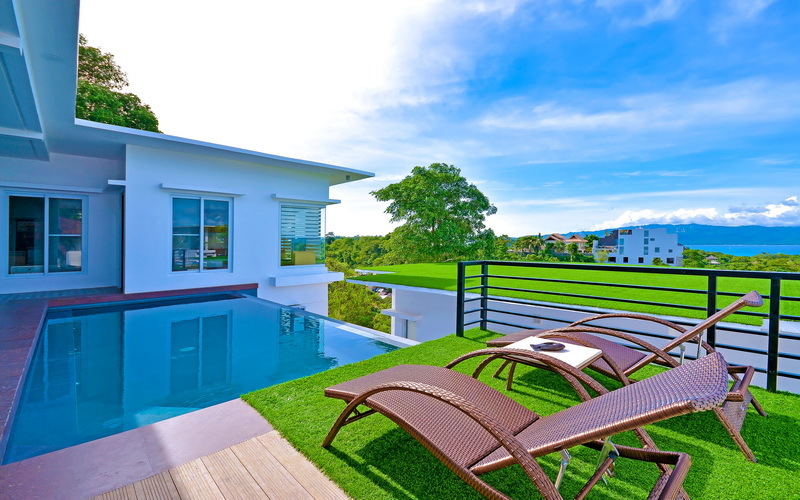 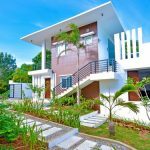 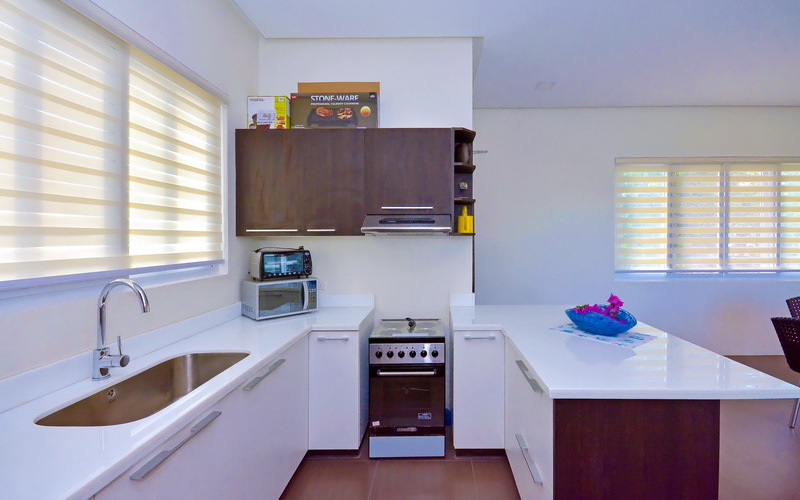 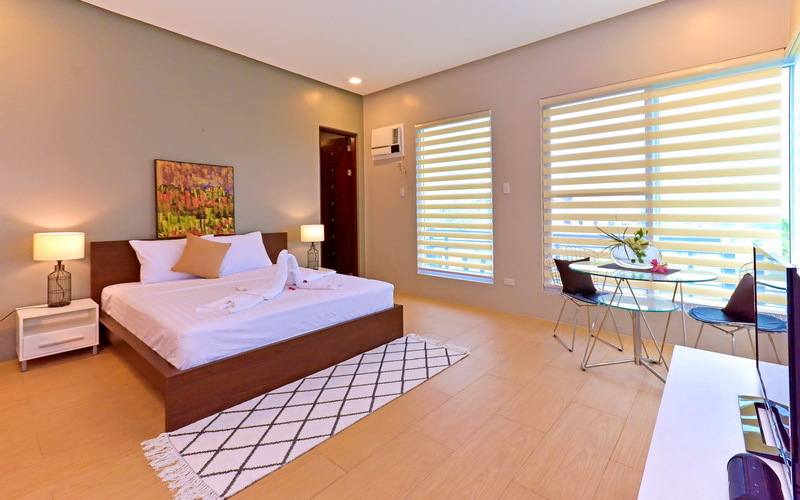 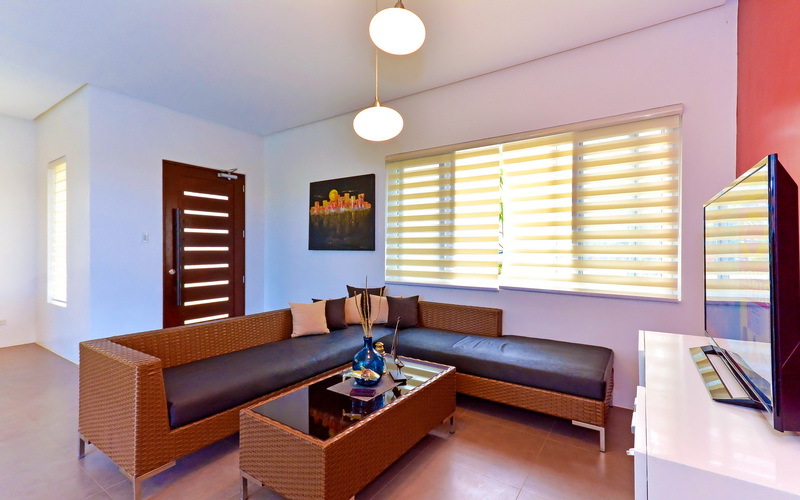 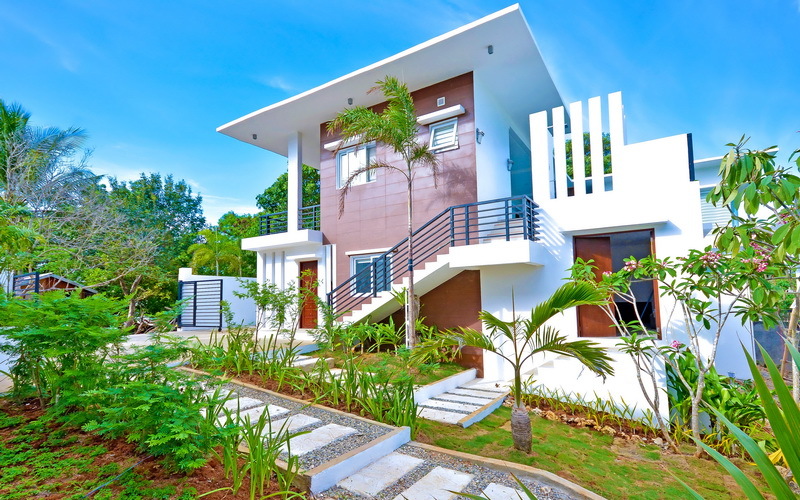 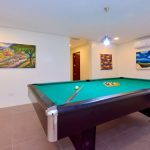 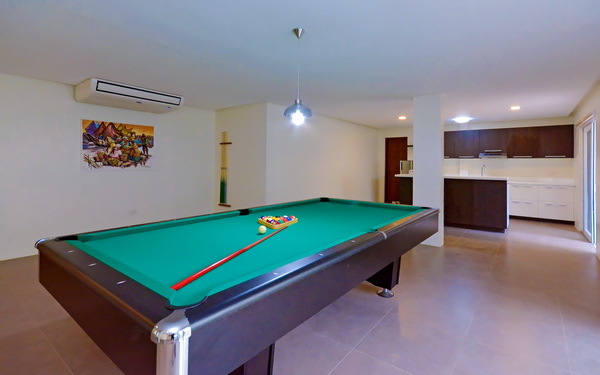 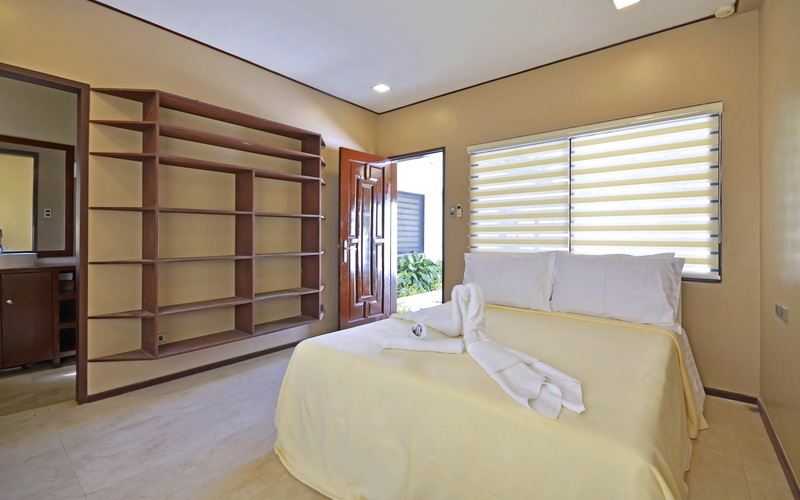 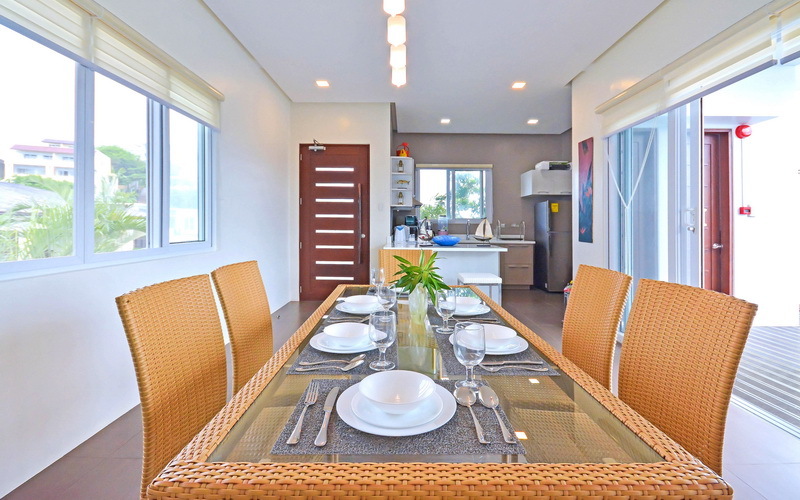 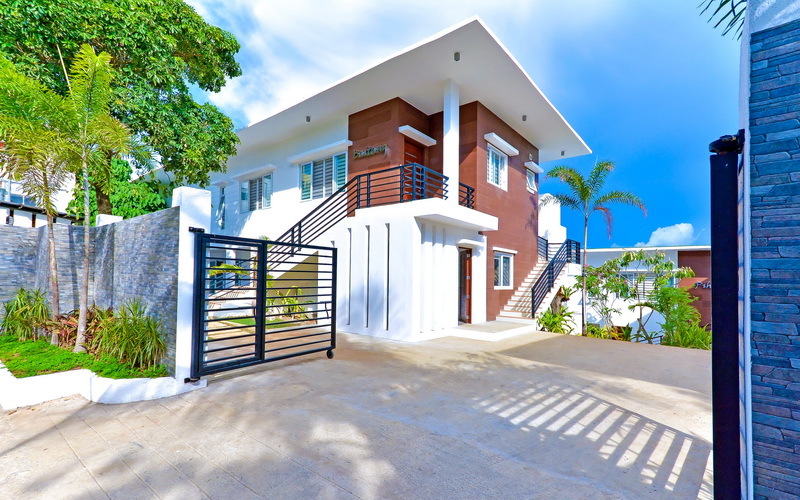 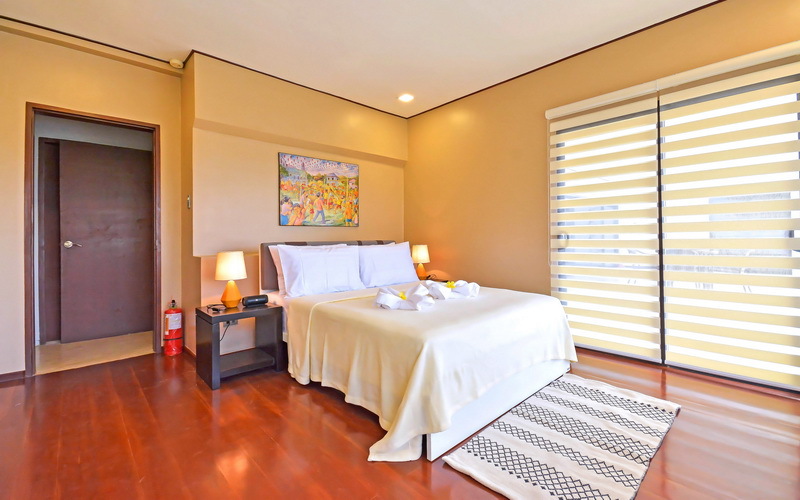 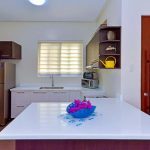 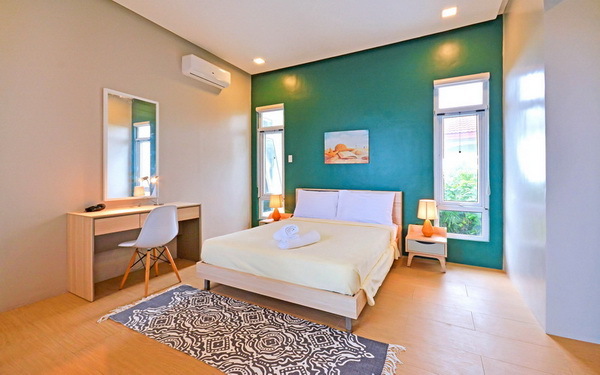 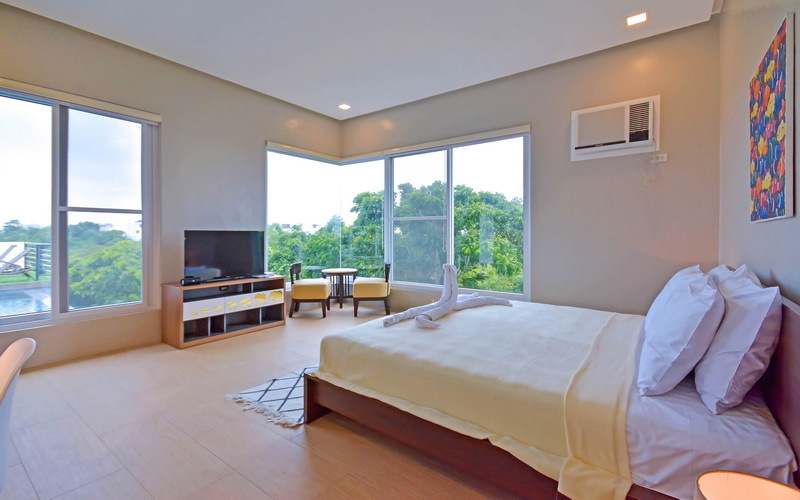 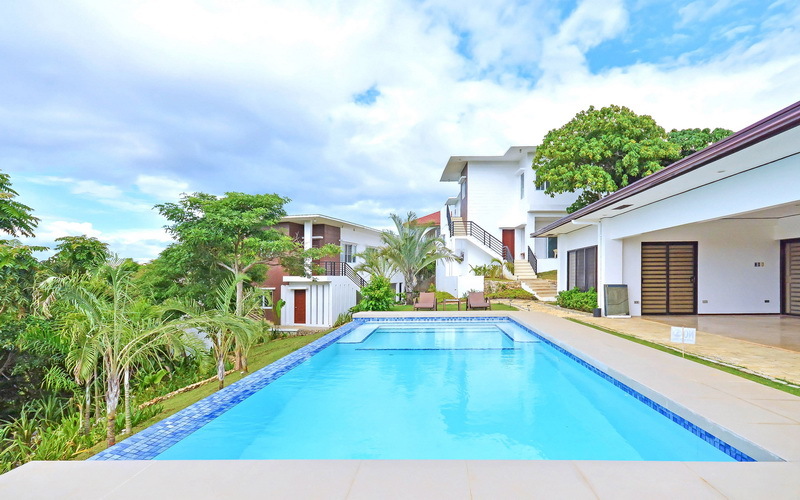 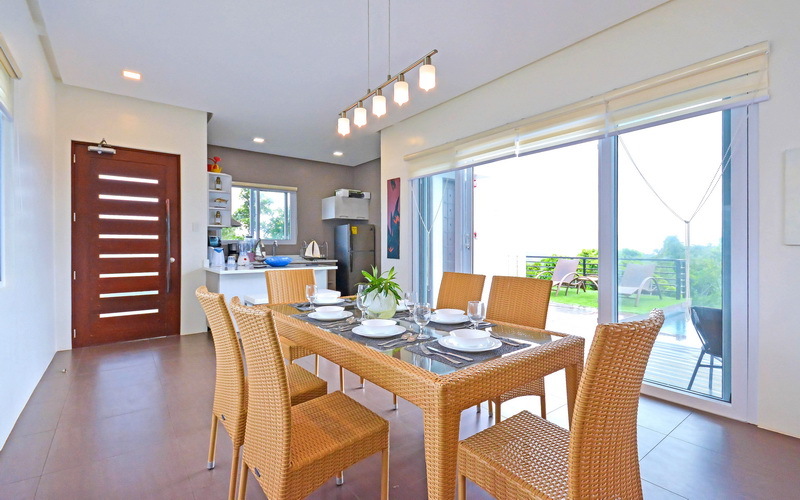 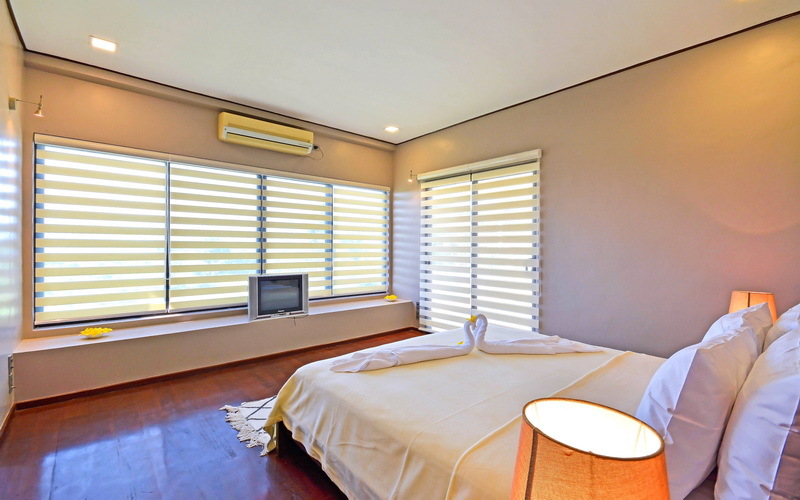 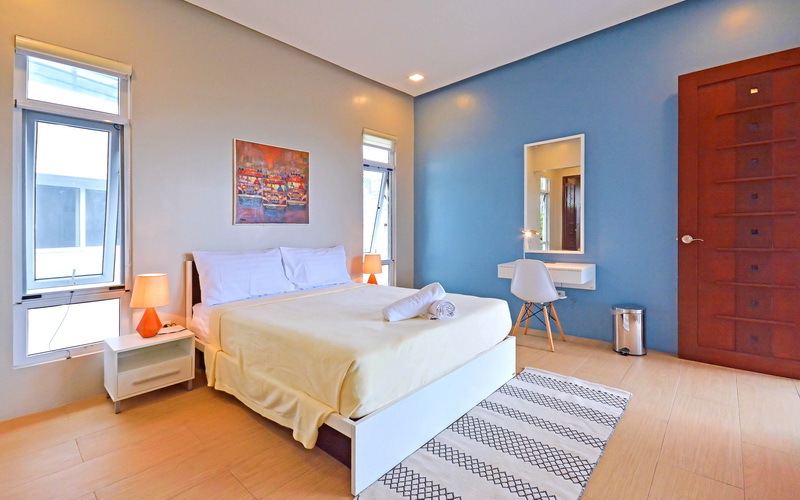 One Hagdan is composed of five fabulous pool villas located on an exclusive gated compound of Sitio hagdan,Yapak. 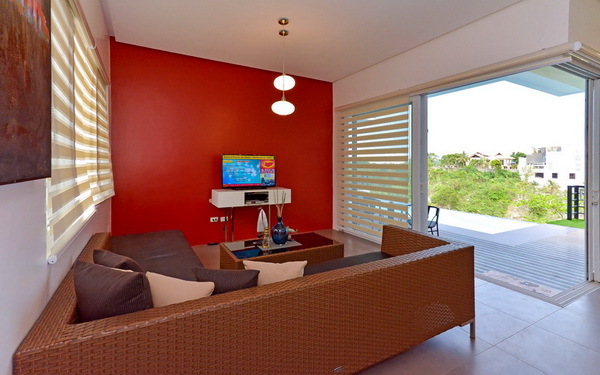 Each villa is designed by modern architecture, with a touch of elegance and simplicity. 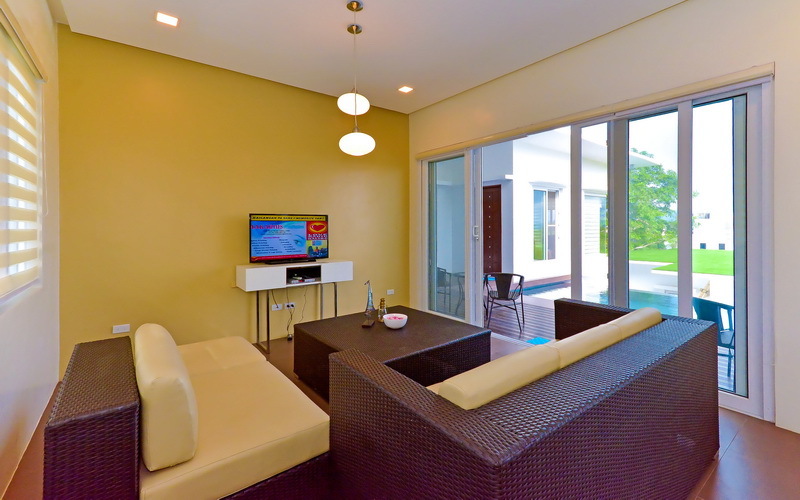 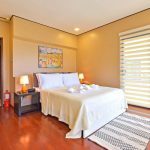 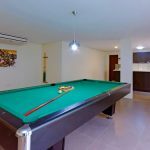 Special features includes private swimming pool with side table and lounge area, Entertainment room together with maids/drivers room are located on the ground level of the villa which will make your stay a unique one. 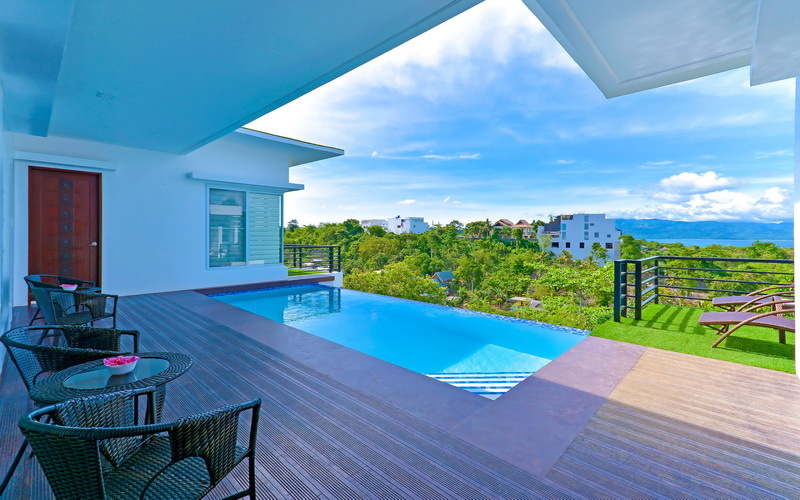 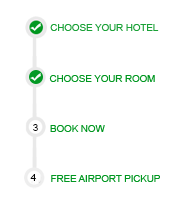 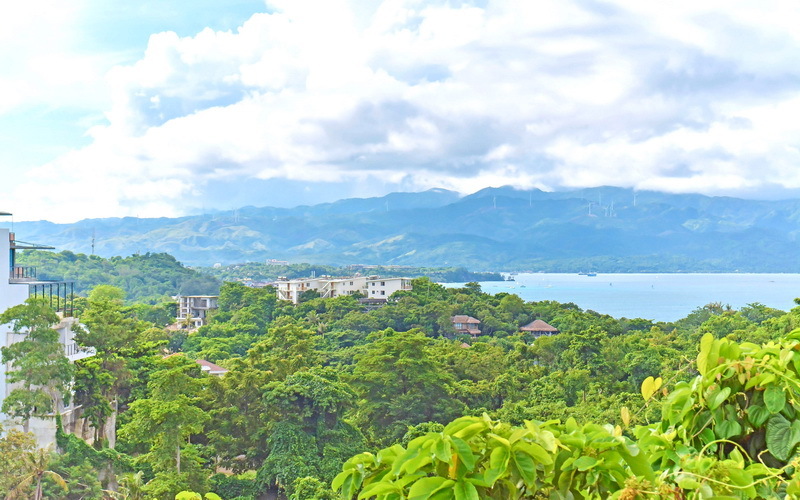 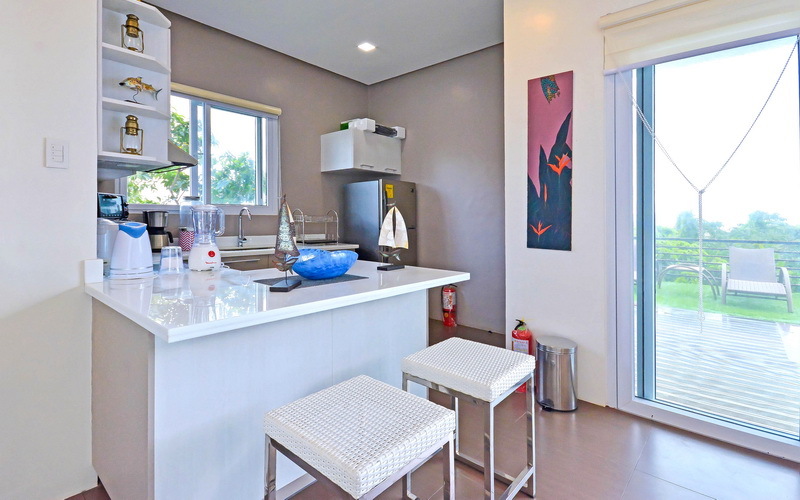 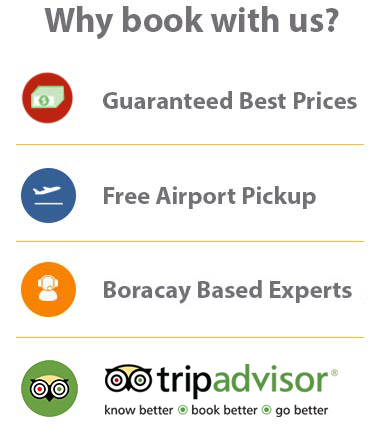 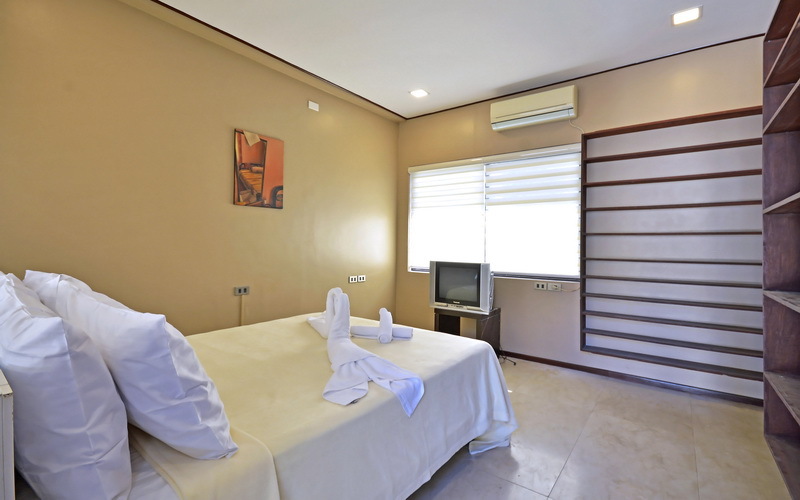 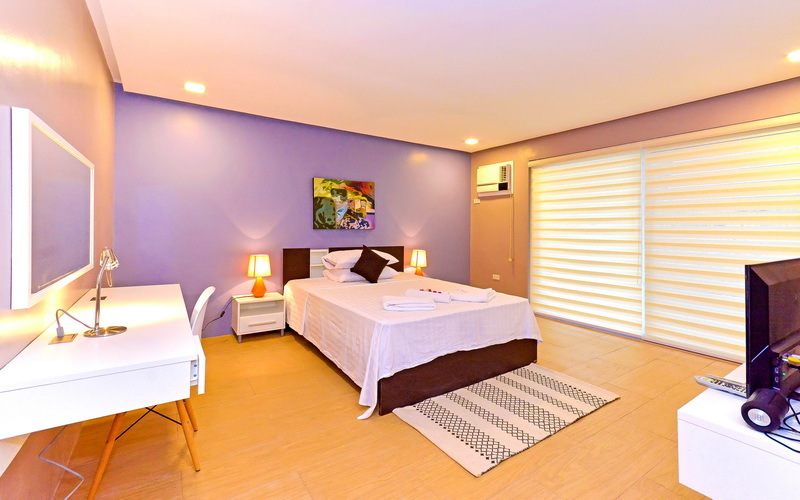 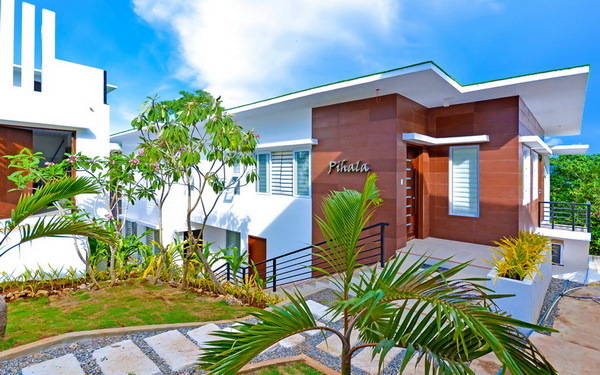 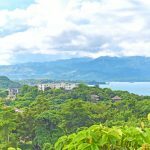 You will witness the beauty of Boracay as it has a partial seaview and the abundant vegetation in the area. 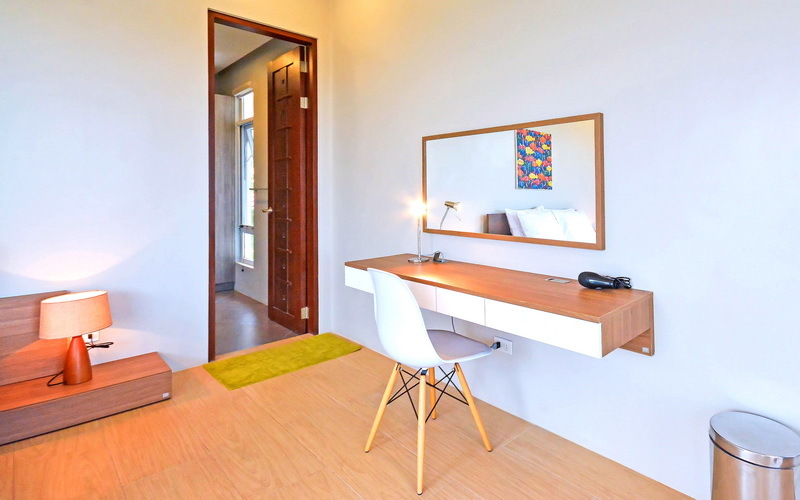 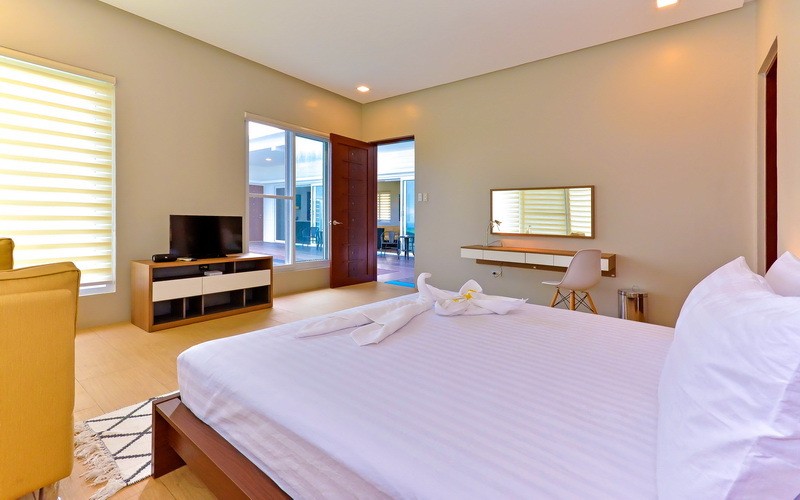 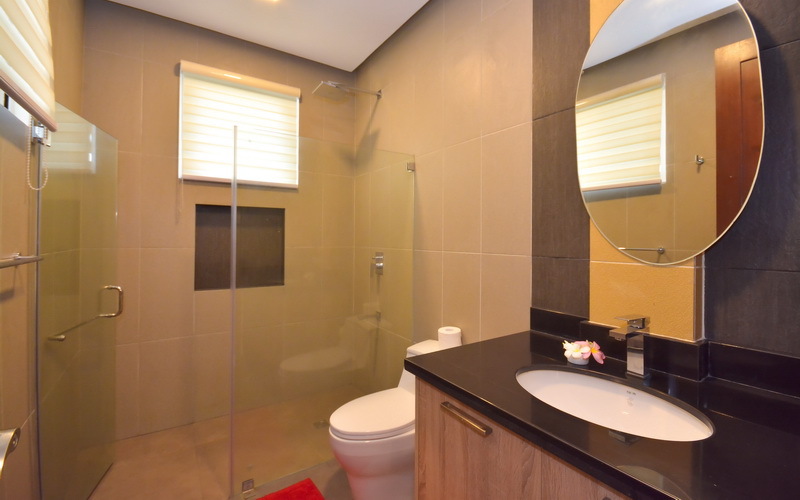 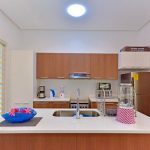 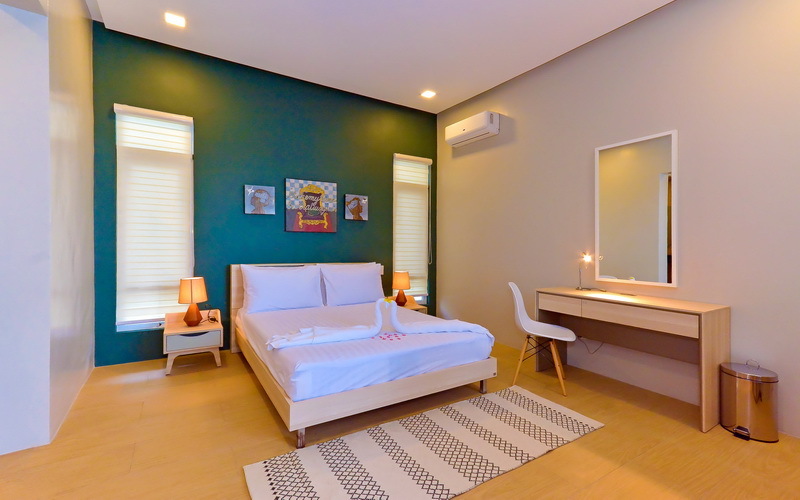 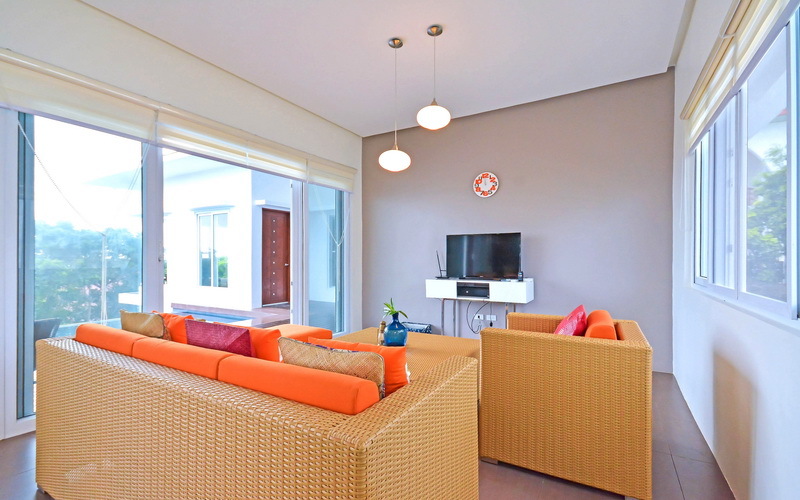 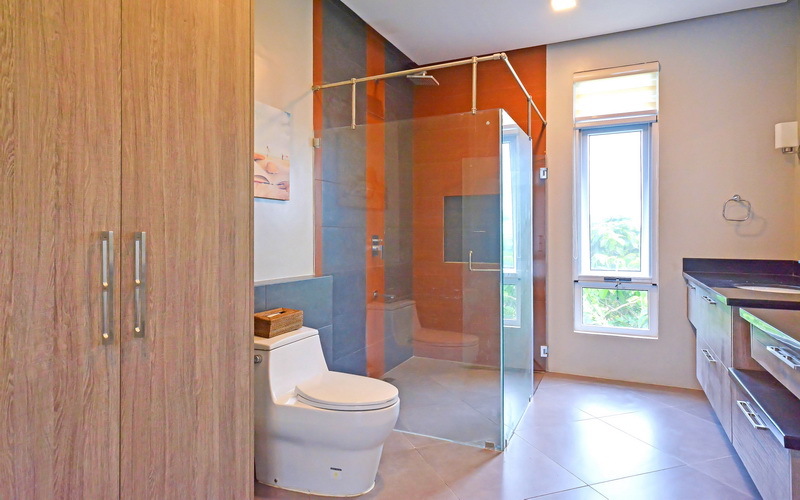 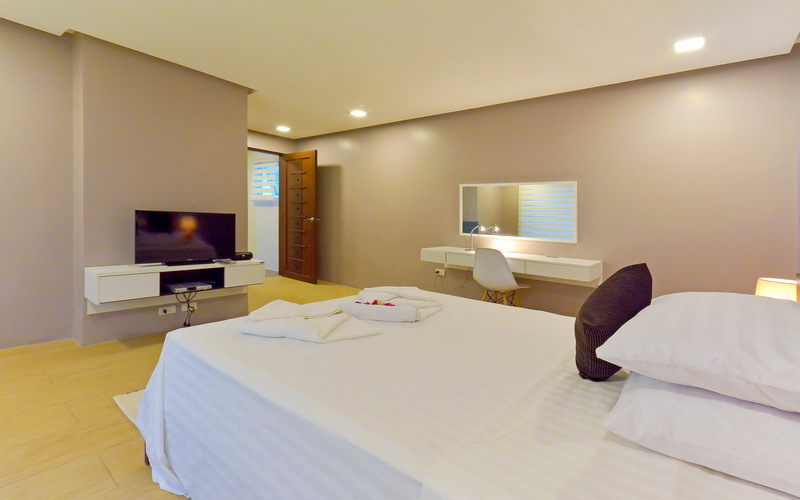 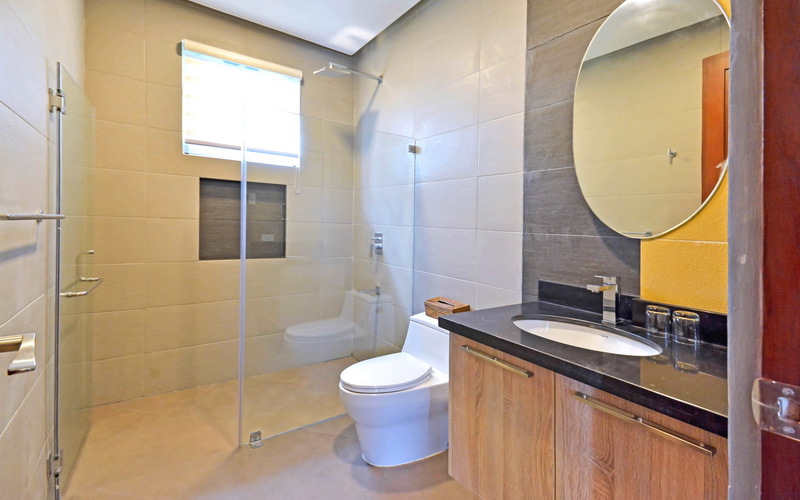 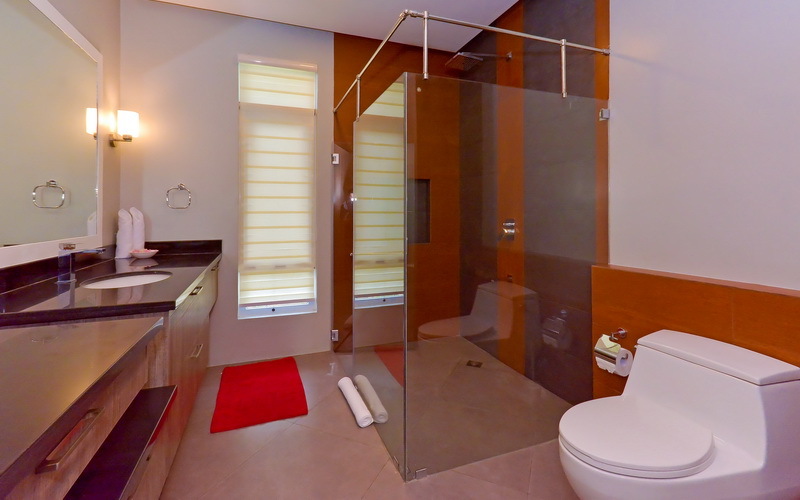 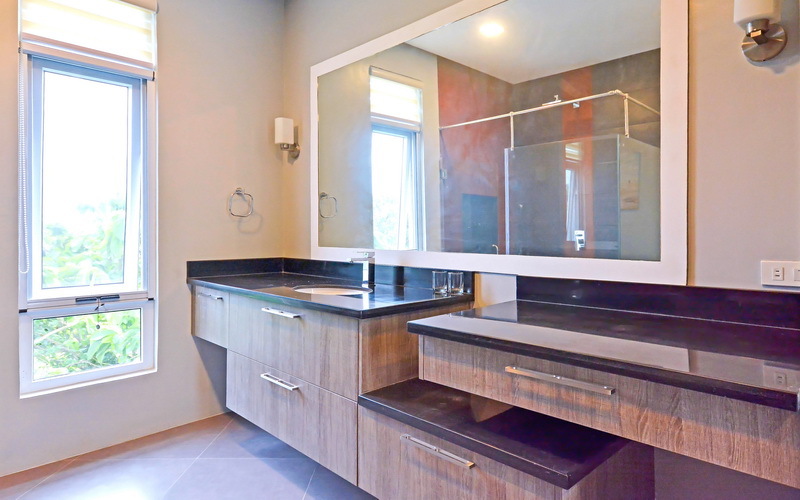 Villa Yapak has a contemporary design with 3 bedrooms and 3 bathrooms. 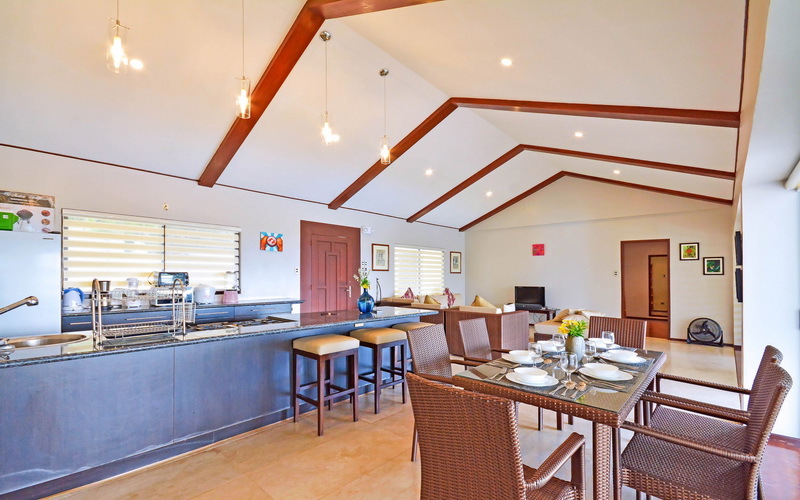 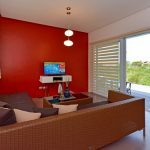 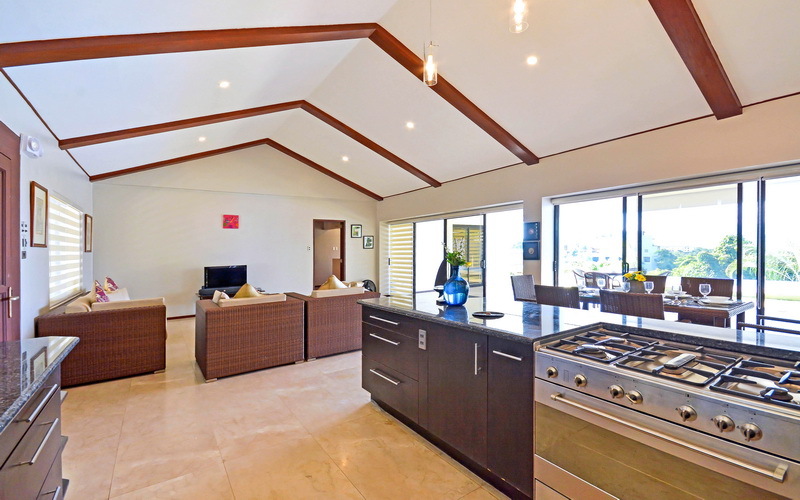 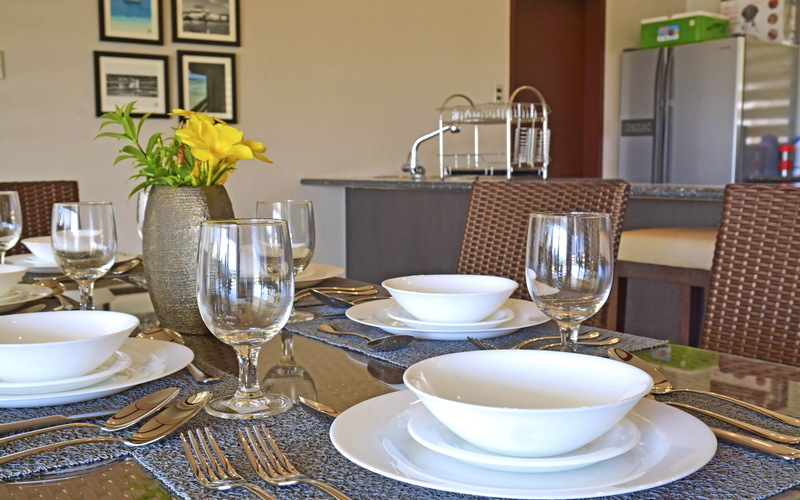 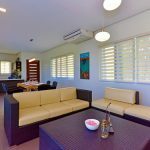 This villa features a cozy living room, dining room and a fully equipped kitchen. 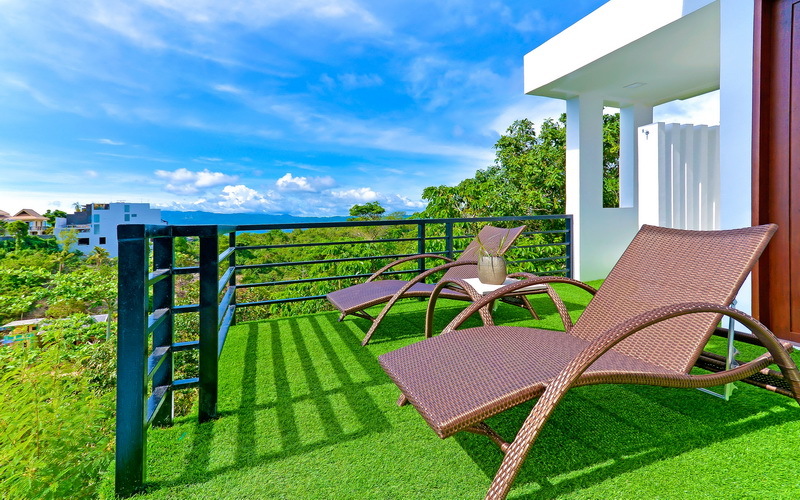 There's a lounging area where guests can hang out while enjoying the view. 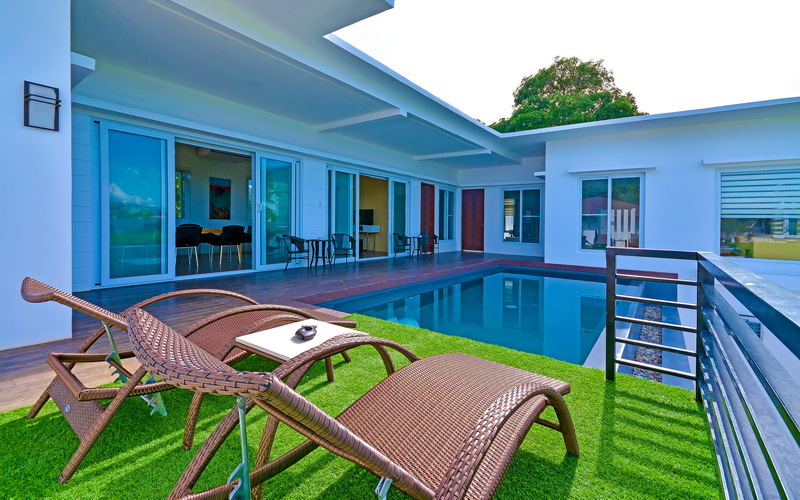 Villa Hakbang features 5 bedrooms and 6 bathrooms. 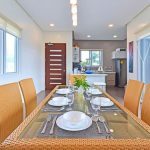 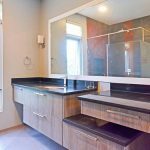 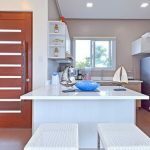 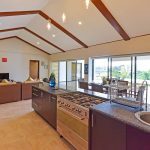 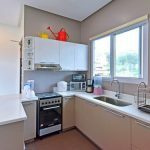 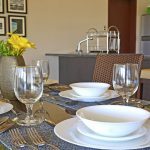 The living room has a brightly colored furniture that is blending with the earth toned dining table and a fully equipped kitchen. 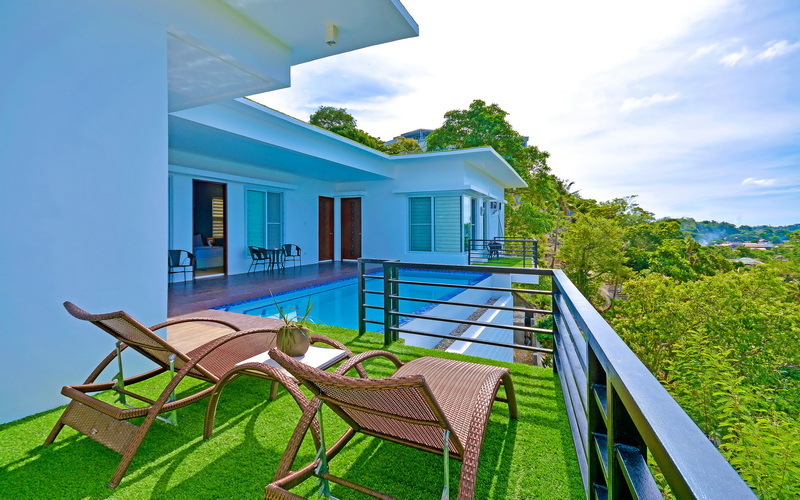 The 4.5 infinity pool with beach beds overlooking the lush greenery are the main attraction of this villa. 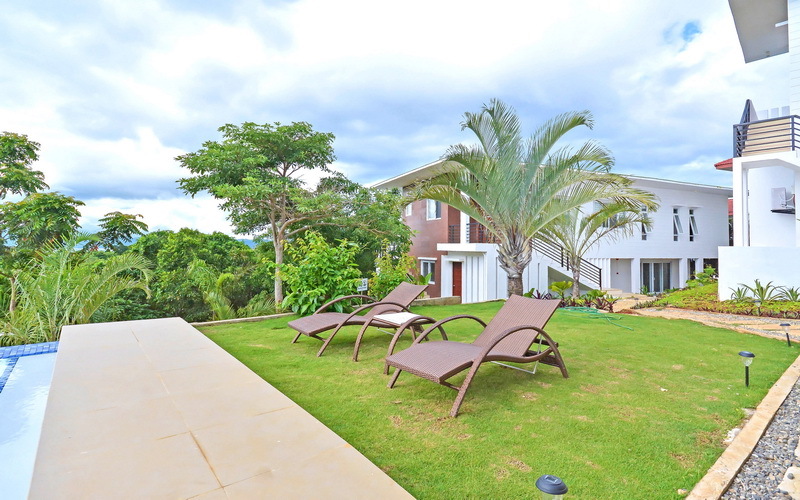 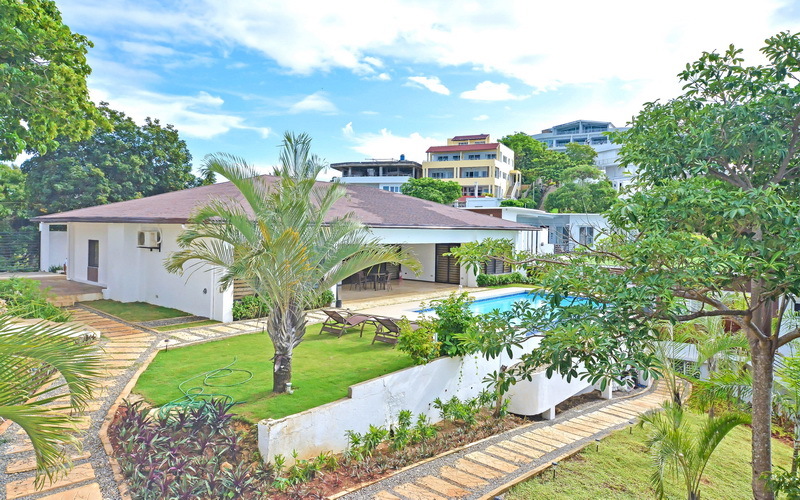 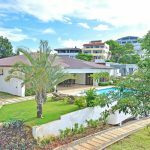 Villa Pihala measures 203 square meters and features 5 bedrooms and 6 bathrooms. The contemporary earth toned living room, dining room and kitchen are tastefully designed. 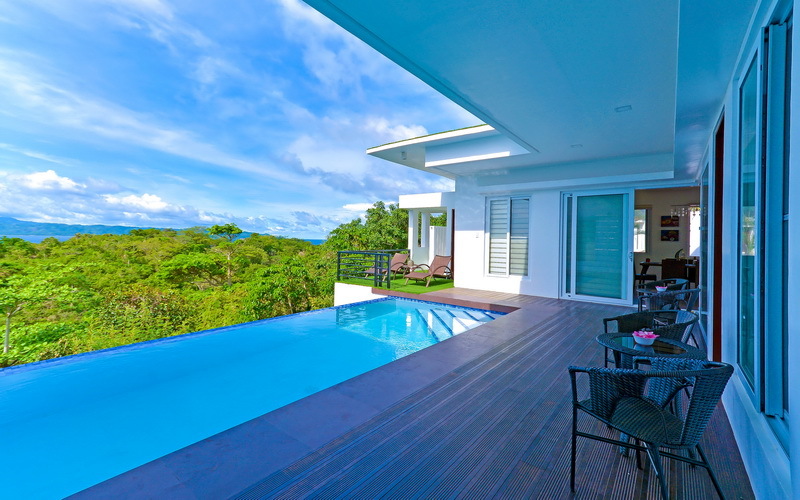 Guests can relax on its private infinity pool with beach beds and seating area overlooking the lush greenery. 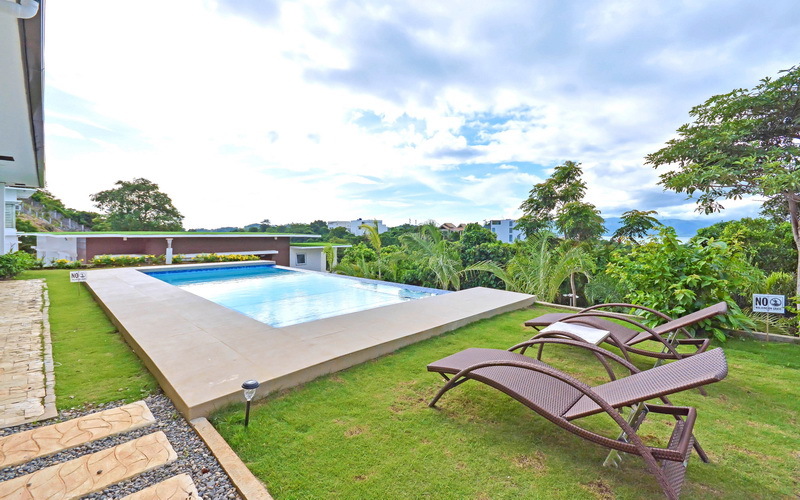 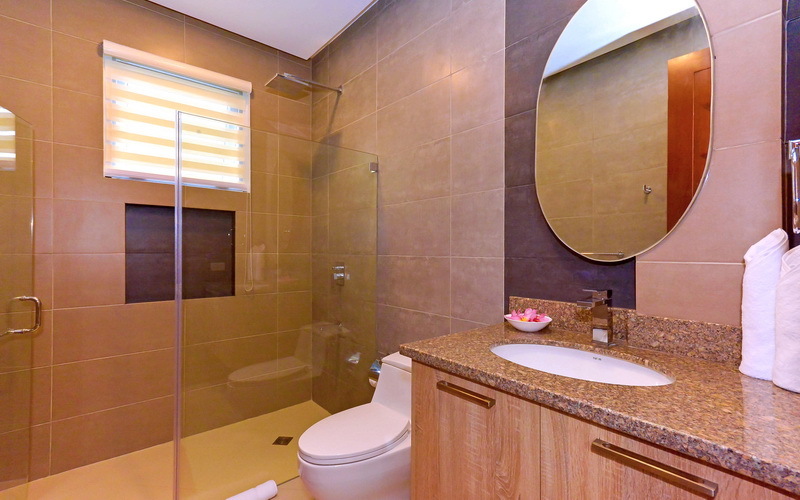 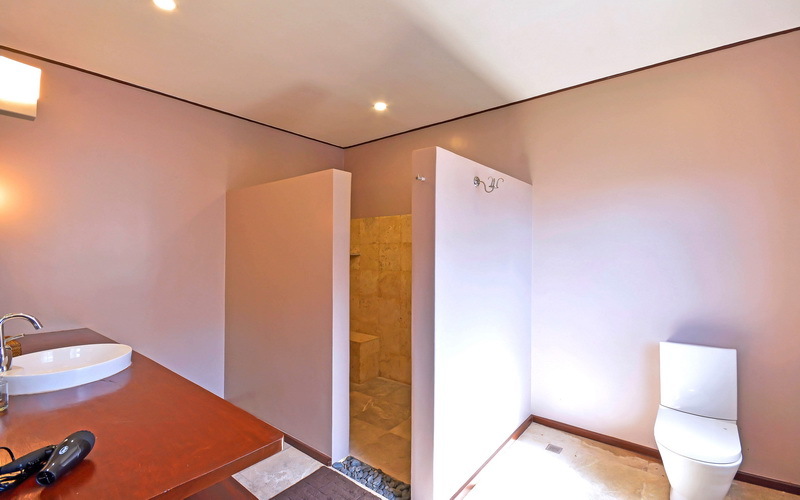 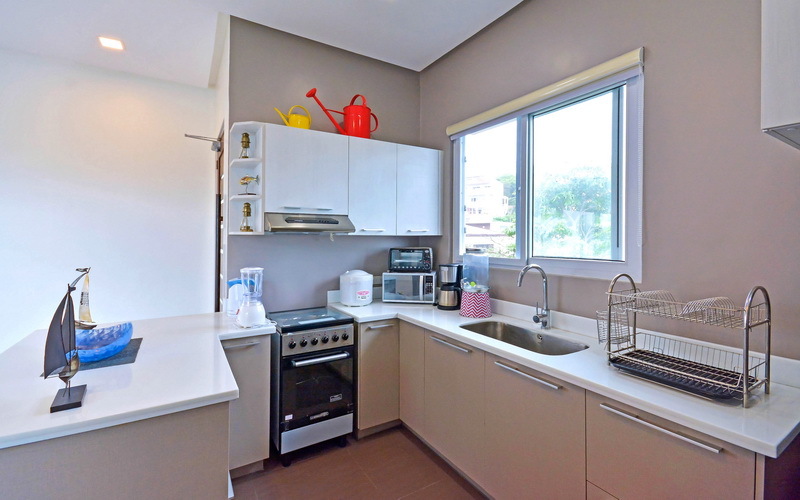 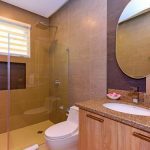 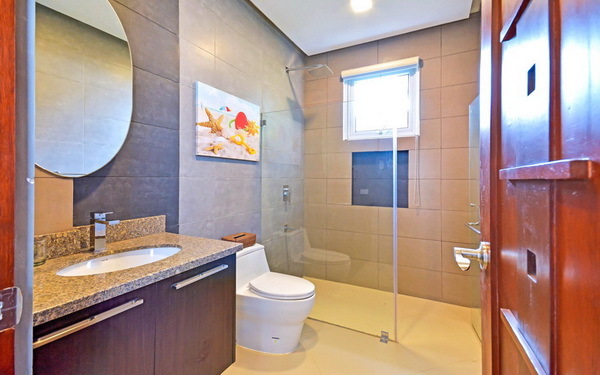 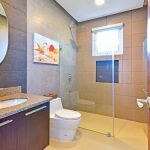 Villa Baitang measures 228 square meters and features 4 bedrooms and 6 bathrooms. 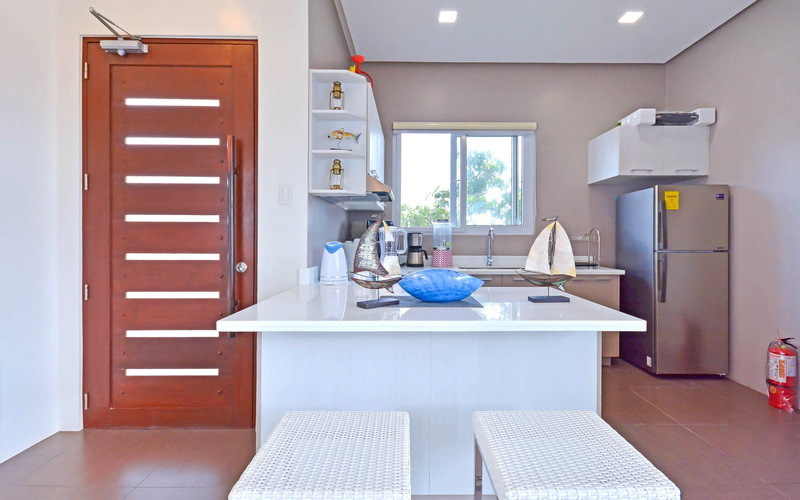 The minimalist living room, dining room and kitchen are modern and simple. 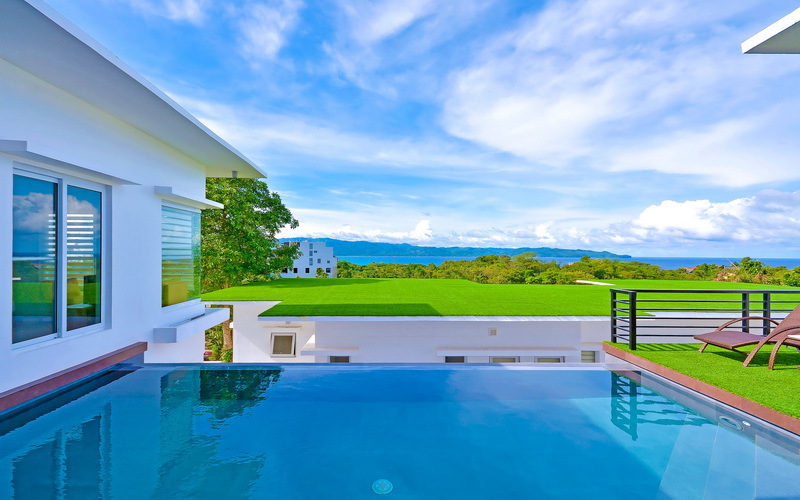 Guests can relax on its private infinity pool with beach beds and seating area overlooking the lush greenery. 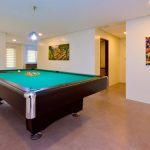 There's a billiard table on the common lounge area.